Kahala is considered one of the more luxurious, prestigious and desirable areas of Honolulu to own real estate, with its large, expensive, mansion-like homes. Kahala has a high concentration of expensive large beachfront properties going for several millions of dollars. 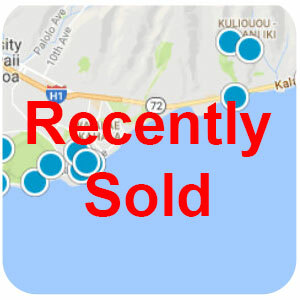 The Kahala area is considered to be fairly flat compared to most other areas of Honolulu and with large lots and a short drive to Waikiki or downtown, makes this area all the the more desirable. 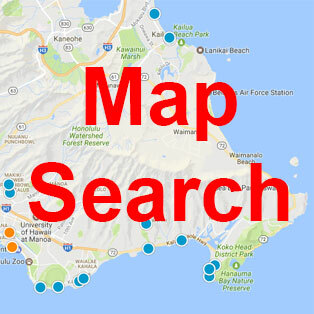 Kahala is located on the southeast side of Honolulu near Diamond Head. Kahala is also home to the oceanfront Kahala Resort and Hotel, formerly known as the Kahala Mandarin Oriental where rooms generally go for around $500 a night. Unlike the beaches of Waikiki the beaches in Kahala are generally uncrowded, but accessible usually only by long narrow walkways between properties at given intervals. Waialae Beach Park at the end of Kahala Ave, just before the Kahala Resort and Hotel is great place to stop and enjoy ocean view, take some pictures, and maybe soak up some sun. This is the only beach front park in the area, although not the best place for a swim as there are many rocks and pieces of coral just off shore.